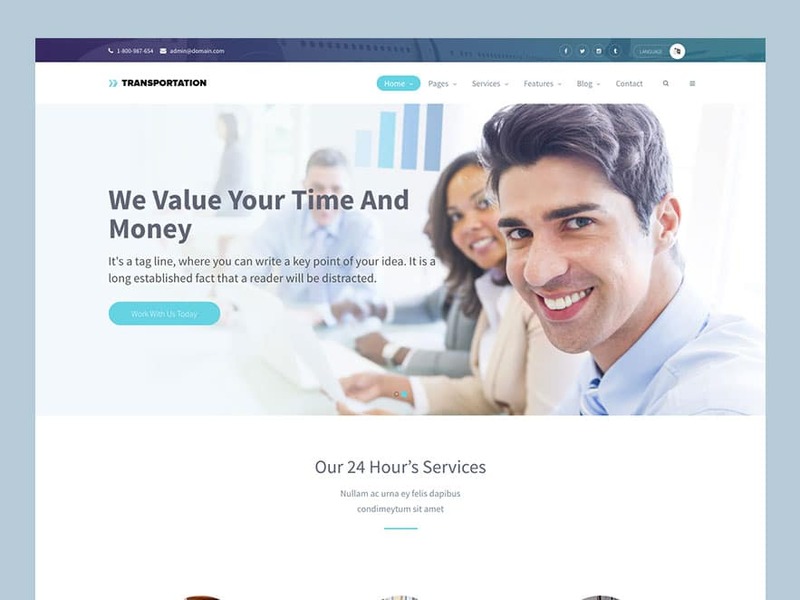 Transportation is simple, clean, amazing, lightweight, outstanding, stunning, elegantly crafted beautiful HTML5 logistics website template to help you organize your local and international transportation and logistic company to promote it targeted users extensively online. The concept of is simple, let you build such a platform where you can do everything to build and market online business for trucking, transport, logistics, leasing, brokerage, freight comprehensively. Transportation is a feature-dense, all-inclusive, and feature, developers of uiCookies have grounded up this awesome logistics HTML template spending countless hours and matured expertise to help webmasters and web developers to builder a successful and shipping website with ease. If you’re looking for a free Bootstrap HTML5 logistics website template, Transportation would be a perfect match. It can adapt to your business logistics and shipping sites including logistics, trucking, warehousing, transporting, freight, and courier service. 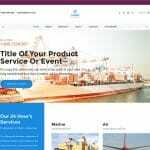 Transportation free HTML5 Bootstrap logistics website template is cross-browser compatible and SEO friendly. If you are concerned about both complete visibility throughout the major search engines and coverage of popular browsers, you can stay relax. It supports Microsoft Edge, Internet Explorer, Google Chrome, Mozilla Firefox, and more. Simultaneously, It allows Chrome bots, Bing bots, and others to index content efficiently so that your content get rank in the competitive position. The best part of its utmost flexibility. With this theme, you get unmatched possibilities to extend the theme features and tailor it with modern trend and features. Having any level of programming experience, you can build any size of trucking and transportation company website with ease. Furthermore, It’s readily responsive and mobile friendly. So, when it comes to getting fit inside iPhone, iPad, iMac, Laptop, Desktop, and other high-resolution screens. Chennai, Delhi, NCR, Noida etc. Is it free to use or need to pay anything to get copyright for this template? Also please confirm if i pay licence amount for this template then can i use all image and contents as it is for my website.